Hello, hazy morning in San Francisco ... and I'm spending the day purposefully gathering all of my psychic energy in anticipation of the hours of madness that I'll be taking part in tonight. 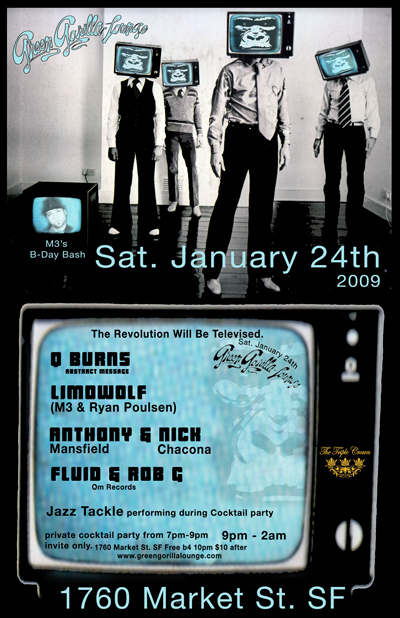 It's a couple of gigs, both organized in celebration of my good friend DJ M3's birthday (which is today ... go to his MySpace page and wish him a happy birthday). 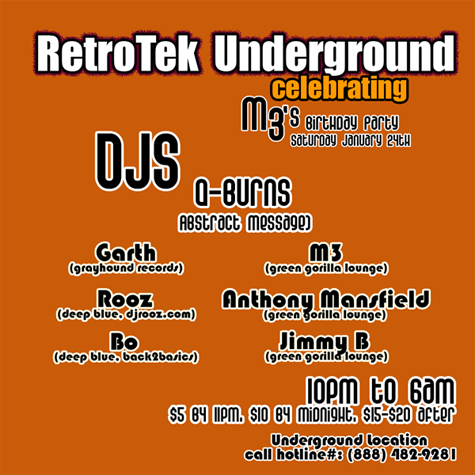 On a related note, HERE is a quick interview with M3 in the SF Weekly you might enjoy. If you're in San Francisco tonight then I hope you'll join me at one or both of these events, and perhaps stick around to carry my lifeless body around at the end. Roar!